Among its many standout attractions, Philadelphia is known for its historic sites, its world-class restaurants, and its diverse shopping experiences, all of which abound at Reading Terminal Market. At Trinity Row’s apartments near Reading Terminal Market, residents are just blocks from the city’s leading retail center, which is brimming with handcrafted food, artisan items, and more than a century of history. Reading Terminal Market is one of the nation’s oldest and largest public markets, in operation since 1893. Its building tells its storied history: It was founded within the Reading Railroad Company and still occupies the train station’s former building, which is listed on the National Register of Historic Landmarks. The market has grown and evolved considerably in its 125-year history but remains committed to selling local and affordable goods. Food has continued to be the primary focus of Reading Terminal Market, with most of the nearly 100 vendor stalls offering culinary creativity. The market is home to butchers, delis, pizza shops, bakeries, cheesesteak shops, salad bars, a wide range of vendors focusing on international flavors, local farmers who sell everything from cheeses to produce, and much more. There are mainstays like Bassett’s Ice Cream, which has sold its sweet treats in Reading Terminal Market since 1893, and newer additions, such as a winery and craft distillery. Trinity Row’s apartments near th Reading Terminal Market allow residents to have all of these culinary opportunities at their fingertips. Trekking to a grocery store, especially in the middle of a bustling city, can be a challenge, but at Reading Terminal Market, local residents can get all of their food shopping done in one place—and can trust that their purchases are fresh and support local vendors. 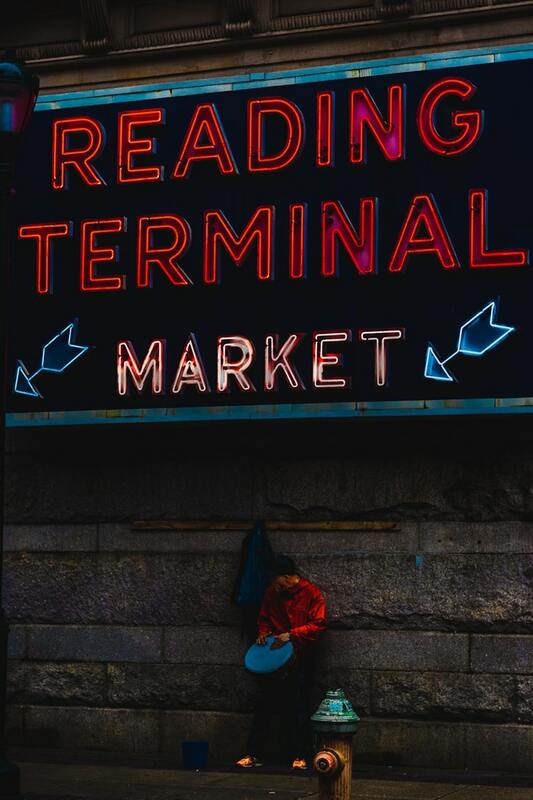 While foodies will love living near Reading Terminal Market, the market also features a number of vendors that sell non-culinary items, such as books, flowers, crafts, clothing, and Philadelphia-themed gifts. For people on the go, Reading Terminal Market is a popular spot for everything from a quick lunch to a place to grab new home décor or gifts for loved ones. Apartments near Reading Terminal Market, such as Trinity Row, let residents get all of their shopping needs met conveniently—freeing up their time to enjoy the amenities at home and in the local area. Call us at 215-854-0729 or contact us online to learn more about our community and schedule a tour!